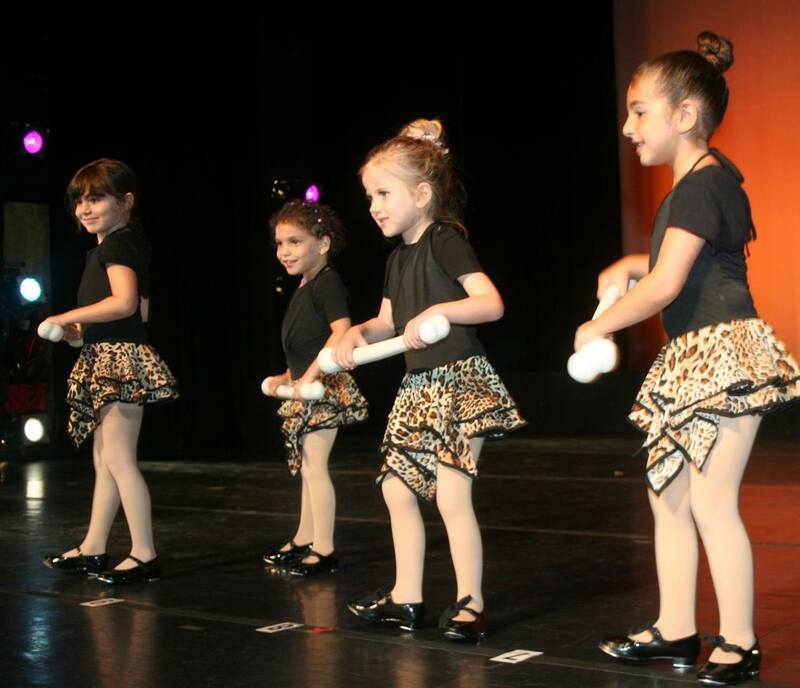 Inna’s HOF offers a comprehensive program of dance classes and education for Cooper City, Davie, Hollywood, Permbroke Pines and the surrounding area. Students study dance as an art discipline and performing art, develop technical skills, learn cultural and historical aspects of dance, dance notation and literature and become involved in the creative process of dance composition (choreography). Older or advanced students are offered opportunities to perform throughout the school year, depending on their age, knowledge and experience. Dance techniques are taught carefully, correctly and safely based on the age and progress of each individual. Basic Ballet technique taught with much creativity. Children will work on spacial awareness and will be involved in fun movement while learning the basics of ballet and tap. We offer classical Ballet in which Russian technique is taught, and some original choreography is adapted to the class to give these little dancers an introduction to the classics. Starting from 1st position, this class teaches and reinforces all the basics of ballet. They will learn dance vocabulary, technique, stretching, and start working at the barre. 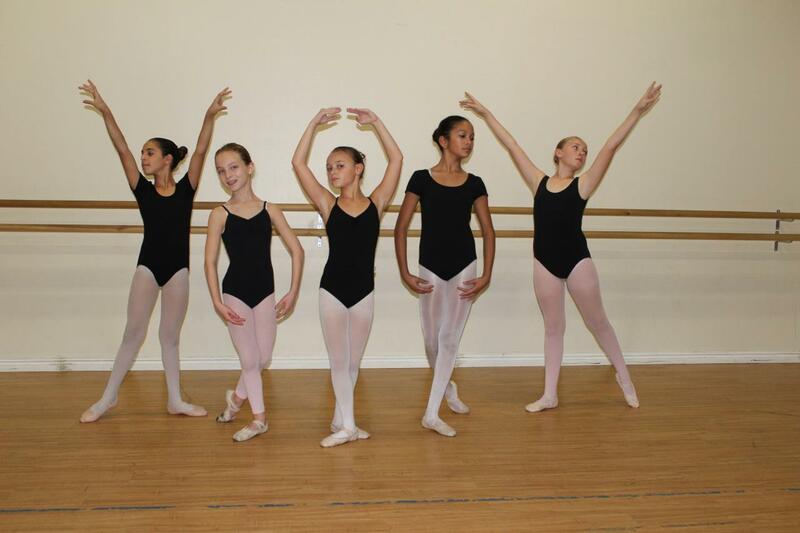 Students will learn several choreographies during the year and perform in the end of year Recital. This class will focus on vocabulary, technique, stretching, barre, body placement, across the floor, turns, leaps and more. Ballet is the foundation to all dance forms and is highly encouraged as a foundation to other dance courses. All students will receive have a copy of Gail Grant’s Technical Manual and Dictionary of classical Ballet..Students will learn several choreographies during the year and perform in the end of year Recital. Dancers continue strengthening their skills and work on more and more complex technique. Students will learn several choreographies during the year and perform in the end of year Recital. Pointe is only for students that have been recommended by their ballet teachers, and who have studied ballet for a minimum of four years. At least one ballet class a week must accompany pointe class. Modern dance classes are offered for all levels. The technique is designed to develop strength in the entire body. The modern technique that we offer is a combination of Martha Graham and Lemont techniques. Maintains the percussive, rhythmic characteristics that define Jazz, yet it also incorporates elements of Ballet and at times even Modern Dance to give it a smooth lengthened look and lyrical quality usually danced to a ballad. Jazz dance develops strong, proper body alignment and clean technique using flashy combinations. Students will learn across the floor progressions of turns, kicks, jumps and more in each class. Tap focuses on musical phrasing and the complexity of rhythms with less emphasis on the visual part and more on the challenge of making melodies with the feet. Creativity is encouraged! Most often, Tap is danced to a jazz-based music such as, Swing, Big Band, Bebop, Funk and Latin styles. Kids will learn the basics of merengue, salsa, cha cha cha and other Latin rhythms. These are a high-energy fun dance classes that will bring out the diva in your dancer! Flamenco is a style of music and dance native to several regions in the South of Spain. Your dancer will love the combination of footwork and flare. OLE! Hip-Hop is a combination of Jazz and Hip-Hop together to introduce students to the street dance of Hip-Hop and students will learn moves that are similar to those seen in the music videos. Belly Dance is a western name for solo, improvised dances based on torso articulation, which originated in the Middle East. Belly dance at Inna’s HoF teaches students to isolate body movements and is a great cardio workout. With colorful costumes and a unique dance style, this popular class gets everyone moving and shaking! > Inna’s Hall of Fame Cooper City offers a comprehensive program of dance education/dance classes; ballet, jazz, modern, lyrical, Hip Hop, flamenco etc.